Mysore or Mysuru, is the third largest city in Karnataka. 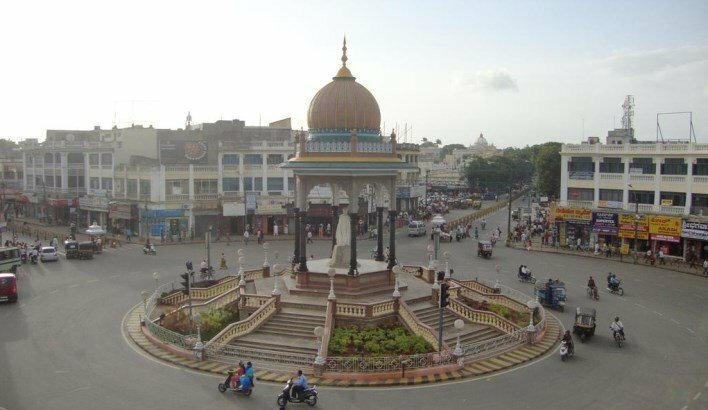 The city was ruled by the Wodeyar dynasty and it is well known for the rich architectural history, palaces, and beautiful gardens. It is located at the bottom of the Chamundi Hills and is about 150 kms from Bangalore. The city has a large tourism industry, which attracts tourists from all across the World. The city is famous for the palaces, the delicious Pak and the Dashara celebration in the city. It is one of the most visited destinations in Karnataka. 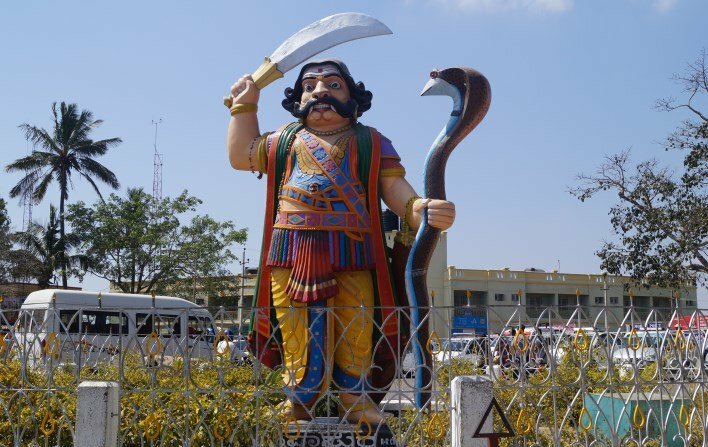 The name Mysuru finds its roots from Mahishasura, who was a demon who had the ability to take the form of buffalo and human. It is believed that this area was ruled by the demon Mahishasura who was killed by the Goddess Chamundeshwari, whose temple is over the hills. This is how the city was named Mysore. 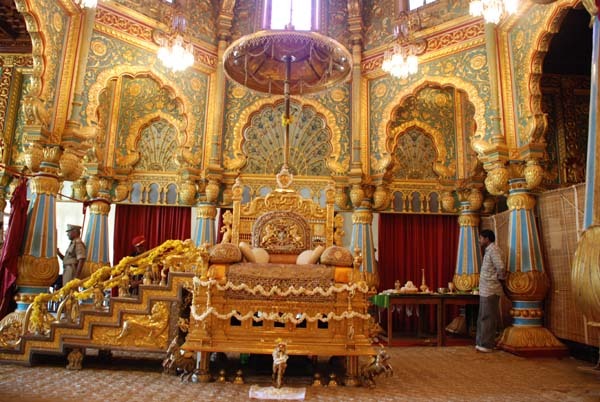 Mysore Palace: The Palace is famous for the rich culture and architectural history. The Mysore palace is a highlight of the architecture and reflects Hindu, Rajput, Islamic and Gothic style of architecture. Located in the heart of the city, it has two Darbar halls, garden, and buildings. It is the official residence of the rulers of Mysore. 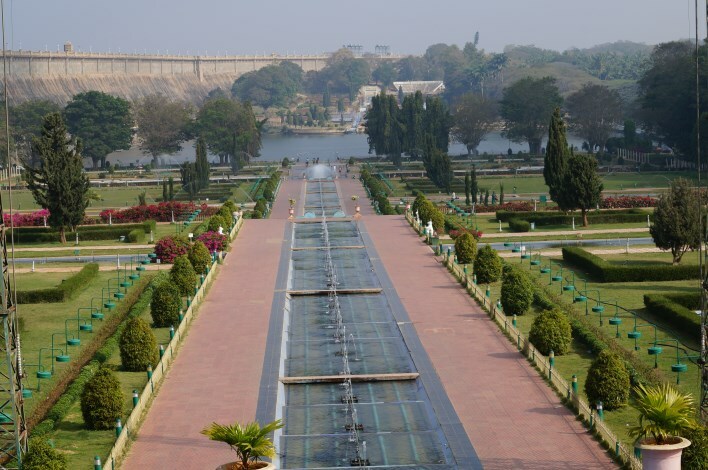 Brindavan Gardens: Another prominent tourist attraction, Brindavan Gardens is a famous garden in India. Situated next to the Krishnaraja Sagar Dam, the gardens house a dancing fountain which is a major tourist attraction. A light and sound show is conducted every evening, which adds colour to the beautiful gardens. Chamundi Hills: Located in the outskirts of Mysuru, the Chamundi Hills is one of the most sacred hills in India. The Chamundeshwari Temple is situated at the top of the hill. Goddess Chamundeshwari is the main deity of the temple and one can get a breathtaking view of the city from the top of the hills. Mysore Zoo: One of the oldest zoo in India is the Mysore Zoo. It has a huge plantation and houses white tigers, rhinos and gorillas. It is one of the popular tourist attractions in the city. Wax Museum: The wax museum in Mysuru is one of a kind. It exhibits various musical instruments and has more than 300 musical instruments which represent different states in the Country. Mysore Silk Saree: Mysore and silk both share the same history. The Mysore royalty is taking serious measure to cultivate the craft. The silk saree is a light, smooth and soft variety that is inlaid with beautiful and intricate golden zari thread in different patterns. There are various saree shops in Mysore for you to choose from. Sandalwood oil and soap: Sandalwood has become a thriving industry in Mysuru. You can buy the famous Mysore Sandalwood soap and oils from here. There are shops located near the Devaraja Market, which specialize in the same. Coffee Powder: The city produces one of the best coffee in the country. You can easily buy coffee powder or buy roasted beans and have them fresh ground. Various stores are located near the Devaraja Market. The nearest airport is at Bangalore which is at a distance of 150 kms. The city h has a railway station which connects it to various cities. One can easily drive on the Bangalore-Mysore highway to reach the city. Regular buses also ply to different cities from Mysuru.